Love having these fragrant delicious treats around and they are perfect for any occasion. The variation of spices is endless such as cinnamon, ginger, nutmeg, cayenne you choose. 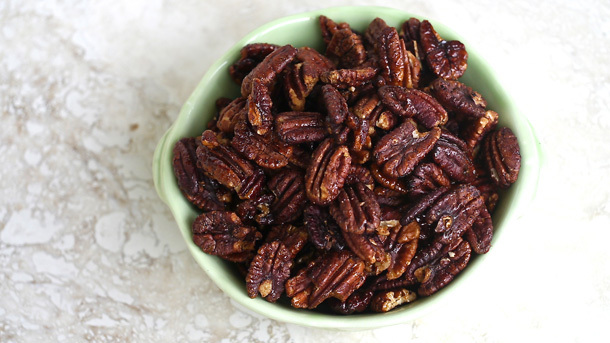 Toss pecans with maple syrup in a bowl.